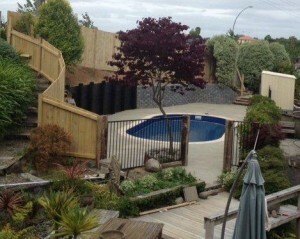 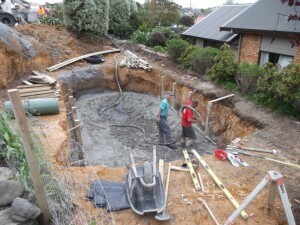 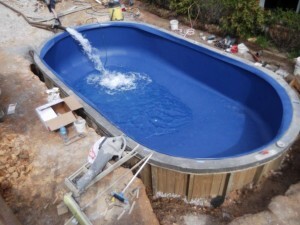 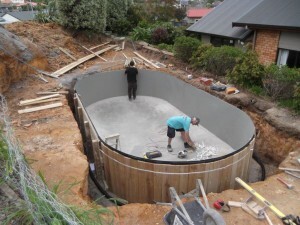 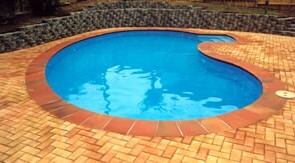 Finishrite pools were asked to construct an oval Deluxe pool on the front section of a sloping site. 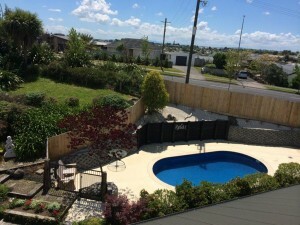 The front section which was completely covered as a garden was the perfect place for the pool as it got sun all day long. 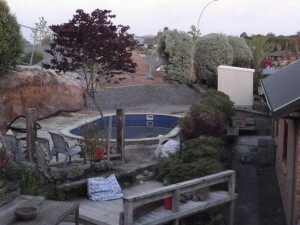 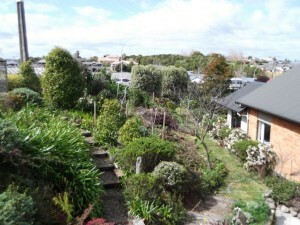 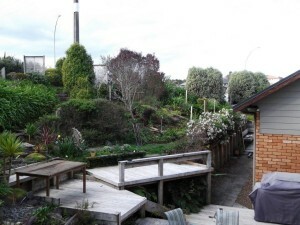 A flat area had to be cut out to form an area for the proposed pool. 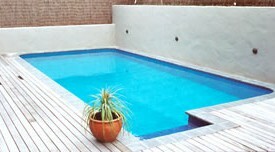 The beauty about the Finishrite swimming pool is that it can be custom sized and built on any site. 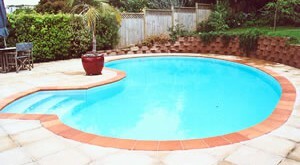 The oval pool fits in perfectly with shape of the site, giving nice areas at both ends for lounging about.